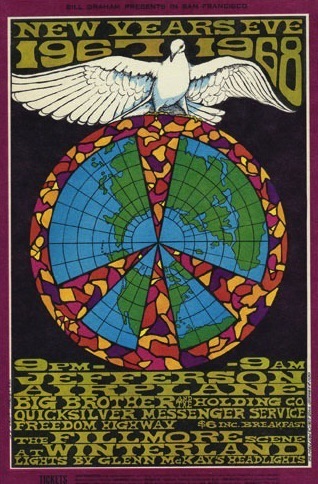 My love affair with rock posters began in the late 1960s, when I spent as many weekends as I could with a friend who lived in San Francisco. 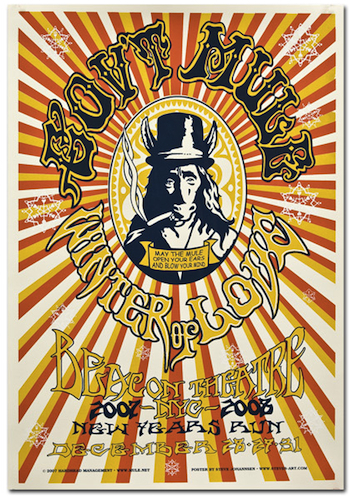 Whenever we were allowed, we’d hang out in his older sister’s bedroom, where the walls were covered with rock posters, mostly from the nearby Avalon Ballroom. 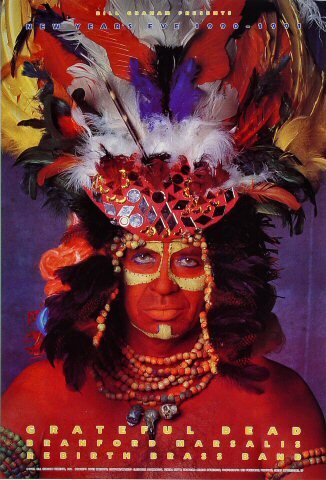 I’m pretty sure she had a poster known as the Snake Lady, as well as the Woman with Green Hair and Dian. Naturally I had a pre-teen crush on my pal’s older sister, but she was way out of my league, so the posters became the objects of my desire. 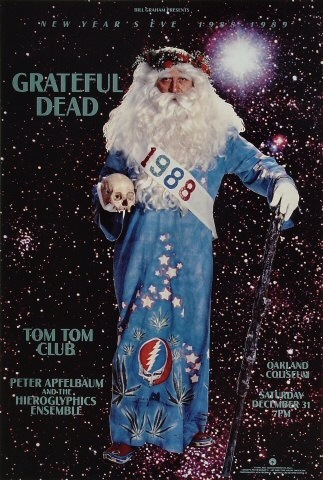 New Year’s Eve posters soon became my favorite subset of rock posters, the catalyst for that narrow passion being my first New Year’s Eve concert in 1970 (the full story of that youthful escapade is here). 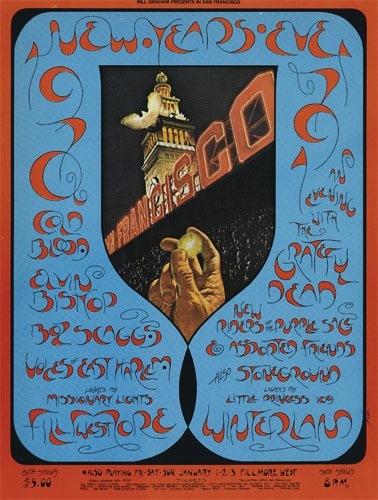 The great David Singer created the memorable image for that concert, as he was one of the Fillmore’s main artists at that time. 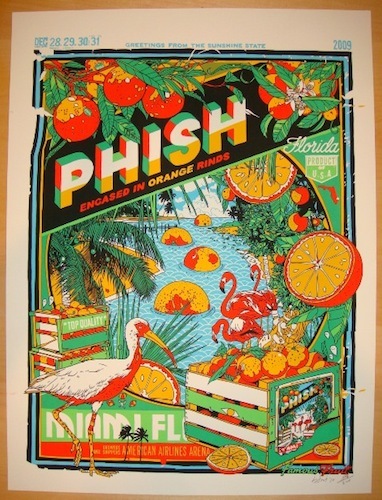 To see his 1970/1971 poster, as well as other New Year’s Eve images from 1966 to 2012 (the one above is by Emek), check out the slideshow below. My list (updated for 2013) is purely subjective, so feel free to link to your favorites in the Comments box below. 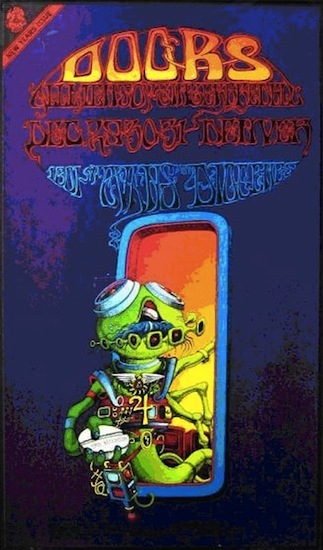 A Rick Griffin poster for a Family Dog in Denver show featuring The Doors, 1967. 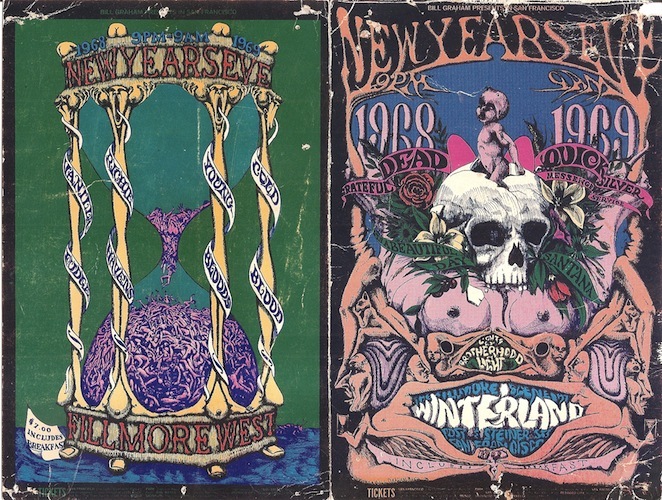 This is my postcard version of a pair of 1968 posters for concerts at the Fillmore West and Winterland. This piece of paper barely survived being cut in half and two rainy winters in a tree fort. 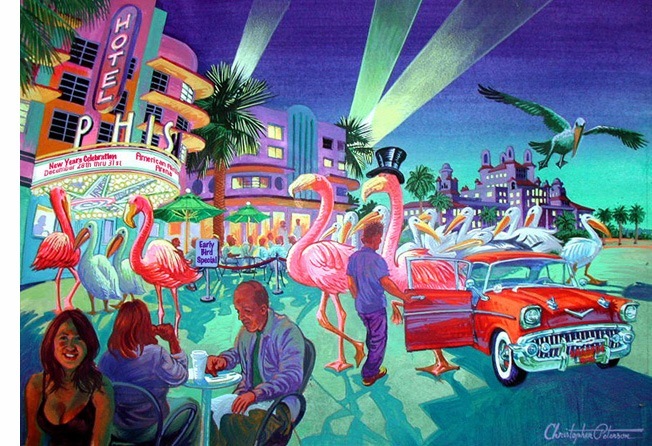 Lee Conklin did the art. 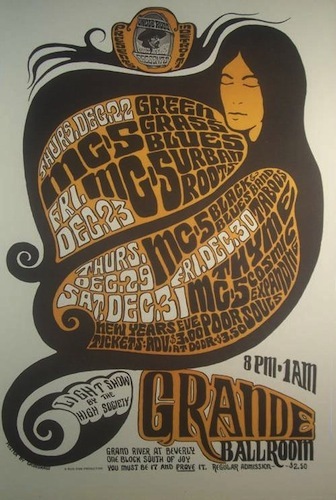 Another year, another Bonnie MacLean New Year's Eve poster. 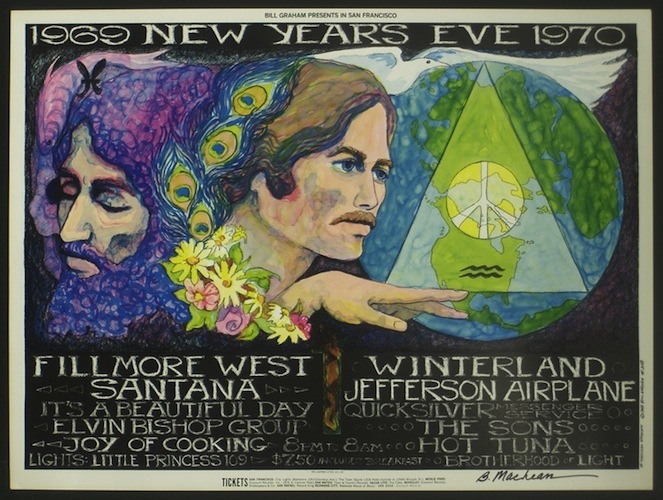 By 1969, Santana was a headliner and Jefferson Airplane had spawned Hot Tuna. 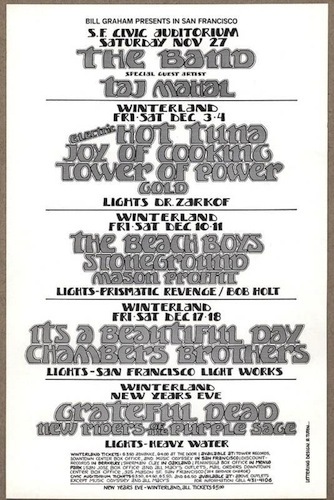 After he shuttered his Fillmore venues on both coasts, Bill Graham cut back on posters for his concerts. 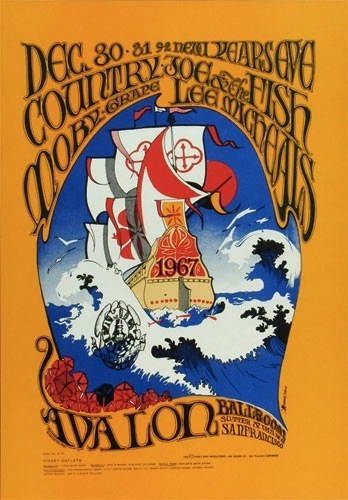 In 1971, hand-lettered handbills such as this one by Randy Tuten were typical. I was fortunate enough to see the show at the bottom. 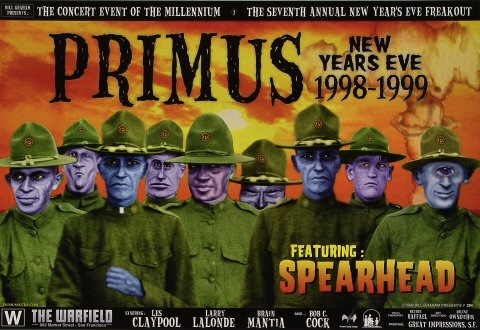 For obvious reasons, this line-up for a 1991/1992 show at the Cow Palace is considered one of the greatest of all-time. 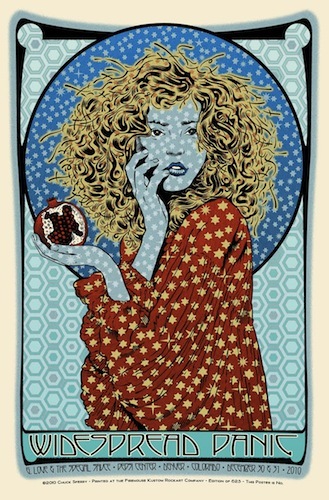 Harry Rossit did the art. 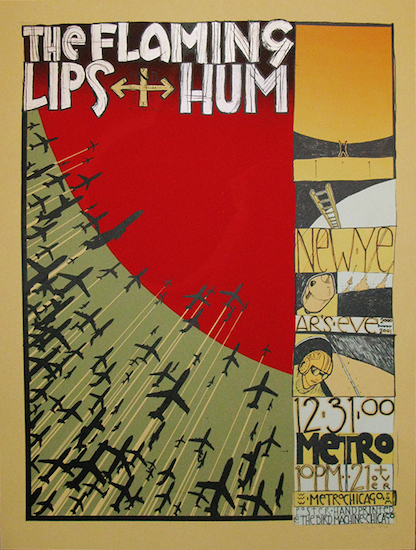 The great Jay Ryan did this gorgeous Flaming Lips poster for New Year's Eve, 2000. 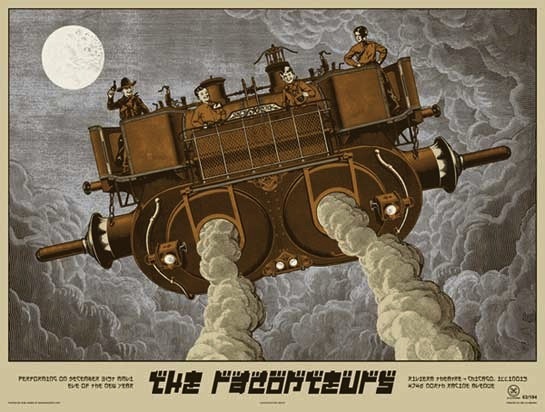 Rob Jones designed this New Year's Eve 2006 poster for The Raconteurs. 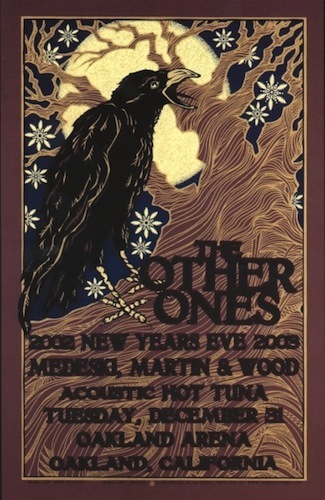 Tyler Stout, who also does movie posters for Mondo, created this design in 2009 for a Phish New Year's Eve run in Miami. 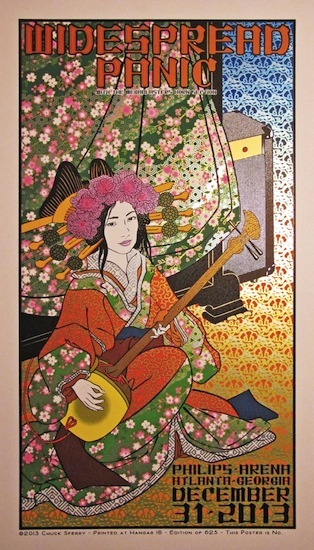 Four posters of varying colors were produced. 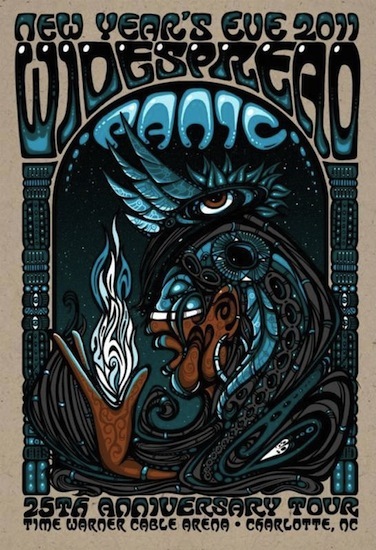 Jeff Wood brought his magic to a Widespread Panic poster for New Year's Eve, 2011. 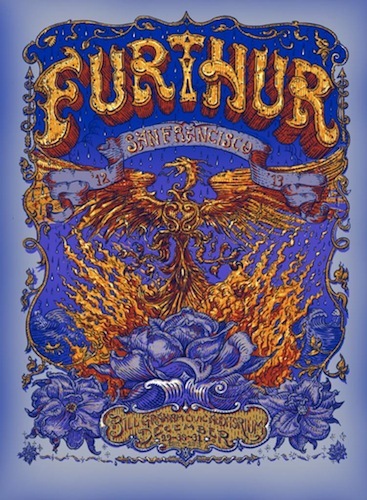 Bob Weir and Phil Lesh of the Grateful Dead now tour as Furthur and have played the last few New Year's Eves, including 2012, at the Bill Graham Civic Auditorium in San Francisco. 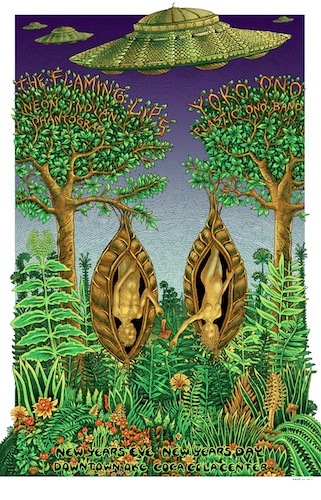 David Welker, who has also created posters for Phish and Primus, did the art for this one. 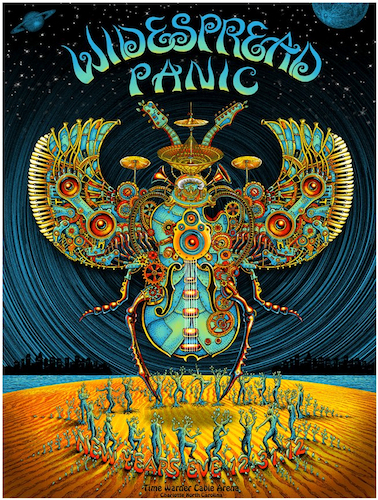 Chuck Sperry's Widespread Panic poster for New Year's Eve 2013 is an instant classic. 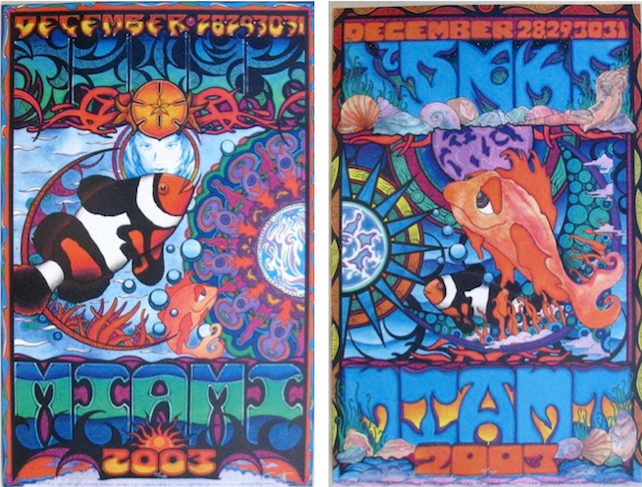 This posters are awesome … far out and groovy. 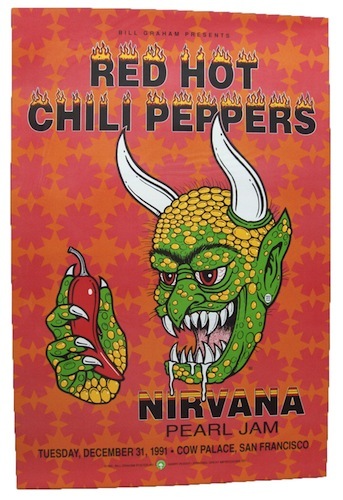 While maybe not the best -the Red Hot Chili Peppers, Nirvana and Pearl Jam must have been the best show since the Big Bang – seriously! 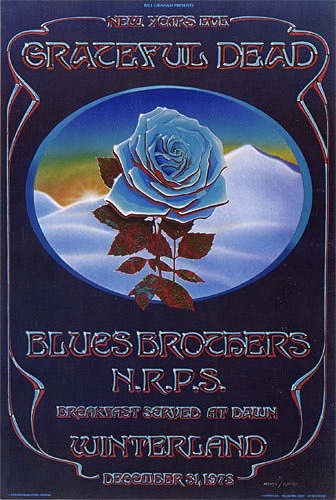 Those bands could rock and they had heart & soul! Thanks for putting these beautiful works up. 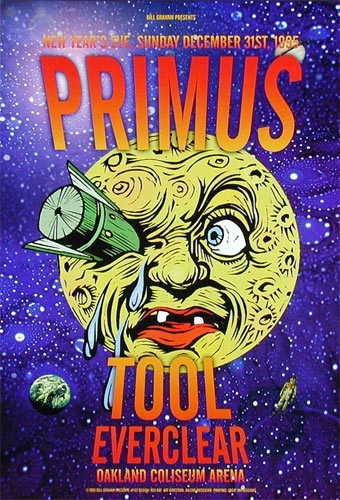 Now we just need to remember what all the hullabaloo was about. “ ” A boombox is a campfire, drawing in those nearby to enjoy a warm analog musical experience.